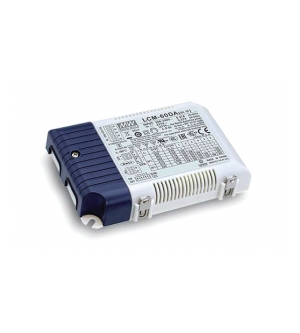 The Hunza LCM 60/EN is a 50 Watt electronic, constant current, remote driver available to power Hunza series version PureLED fixtures. It includes a DIP-SWITCH control system that enables the unit to be set at a range of current outputs from 500mA to 1050mA. 1-10v and Dali dimmable. For exterior use, it is highly recommended to install this in a weatherproof box, available as an option from Hunza. The PC-17-02 weatherproof box is a requirement for UL compliance. When this driver is used as a remote power supply, Series Wiring is required to connect the fixtures. Please refer to the Hunza PureLED Series Wiring page for more information on wiring diagrams and fixture loads per driver.